Torhout, A 27-year-old illegal is risking ten years in prison for attempted murder on his ex-girlfriend. Melissa Rogiers (34) gave up seven knife wounds when she was working in a bakery in Torhout. The accused waited outside the door until the police arrived and spit on Melissa on the ground fought for her life. “Her life is destroyed. The animals in the slaughterhouse to be respectful treated than they were that day,” says her lawyer Rik Demeyer. 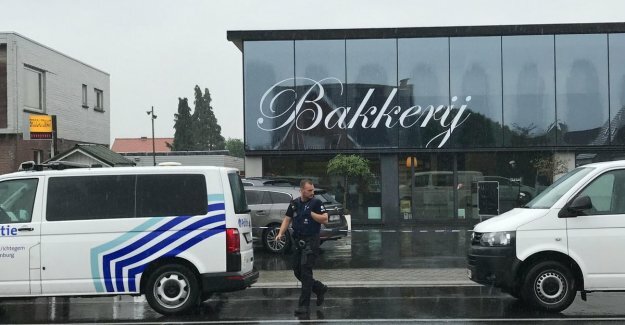 The facts date back to August 9, 2018 in bakery Devriendt along the Oostendestraat in Torhout. Melissa Rogiers (34) and Karim F. (27) had at that time already a few months of an explosive relationship involving the several times to tightly wound quarrels and discussions. A few days before, walked Melissa is still around in the bakery with a blue eye after a blow received from her friend. She was persuaded to make it right, then that conscious August 9, completely out of control, ran when the woman still decided to put an end to their relationship after yet another discussion.